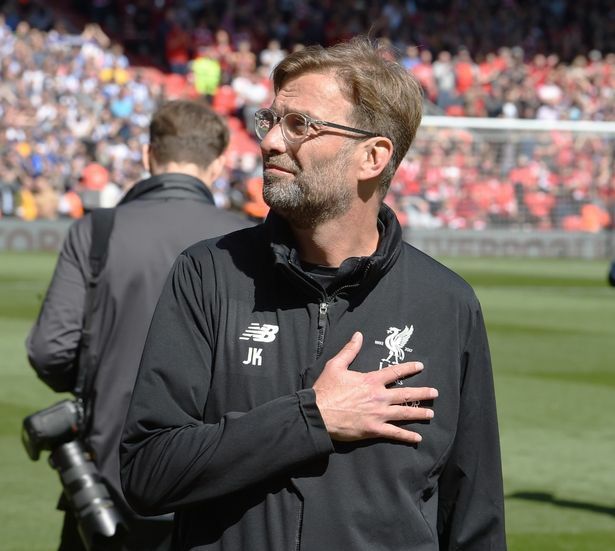 Liverpool manager, Jurgen Klopp has named his 24-man squad for the Red’s Champions League final clash against Real Madrid on Saturday in Kiev. Klopp, however, included midfielder, Emre Can, who is still battling a back injury in the squad. Asked about Can ahead of the final, Klopp said: “Ten days ago, I didn’t think it was possible that he could do what he did today, that he could do what he did in Marbella. “It looked good. It is really positive but we have to wait until tomorrow. The door is open. Klopp’s men had a training session at Melwood on Thursday morning before jetting off to Ukraine from John Lennon Airport in the afternoon. Liverpool’s 24-man squad squad: Karius, Clyne, Van Dijk, Wijnaldum, Lovren, Milner, Firmino, Salah, Henderson, Klavan, Moreno, Mane, Lallana, Mignolet, Can, Robertson, Ings, Solanke, Phillips, Jones, Ward, Woodburn, Camacho, Alexander-Arnold.